Hey guys... I made it!! This is three out of four of of the monthly challenge! How about that?? I really really really like skittles. For this design, I wanted to do something a little bit more classic. 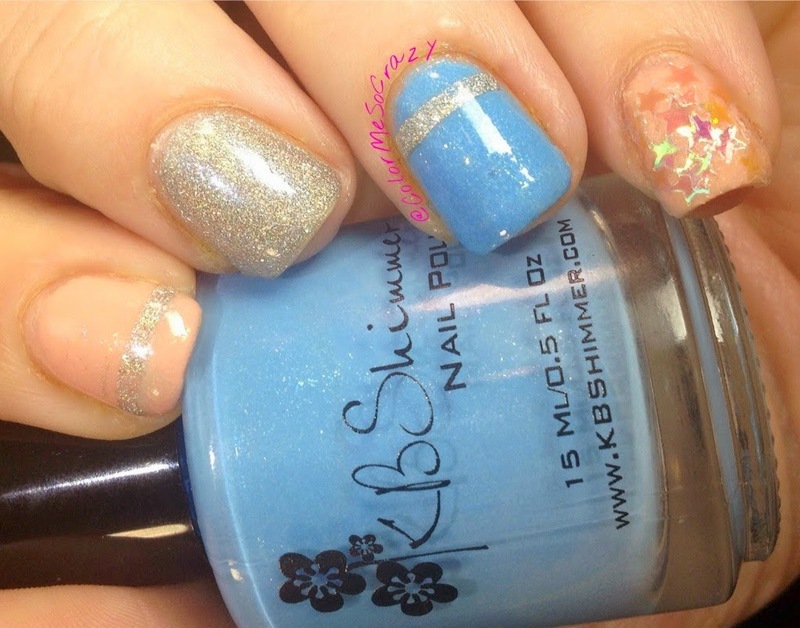 The original colors were Peony by ellagee, I'd Rather Be With Blue by KBShimmer and HD by Milani. I loved the calm combination of the Peony and the IRBWB mixed with the glitz of HD. It was really a great combo. I went on to add the delicate stripes on my index and ring to add a little bit more glitz. 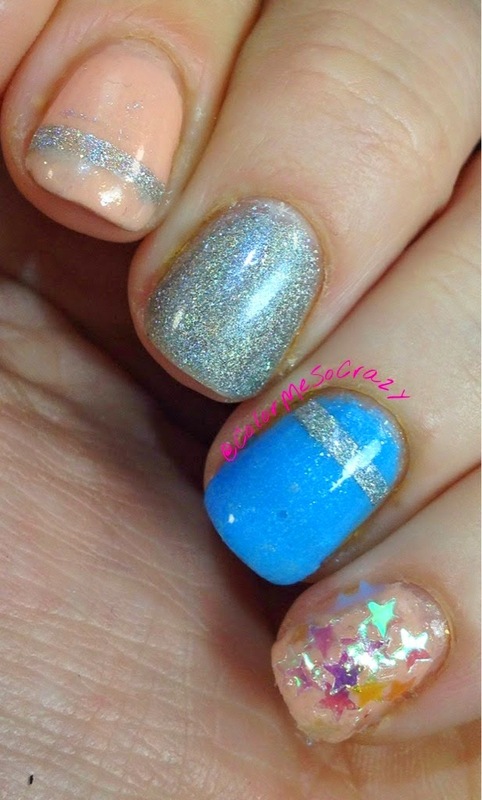 If that wasn't enough, I added the iridescent stars on my pinky. What do you think of this color combination?? 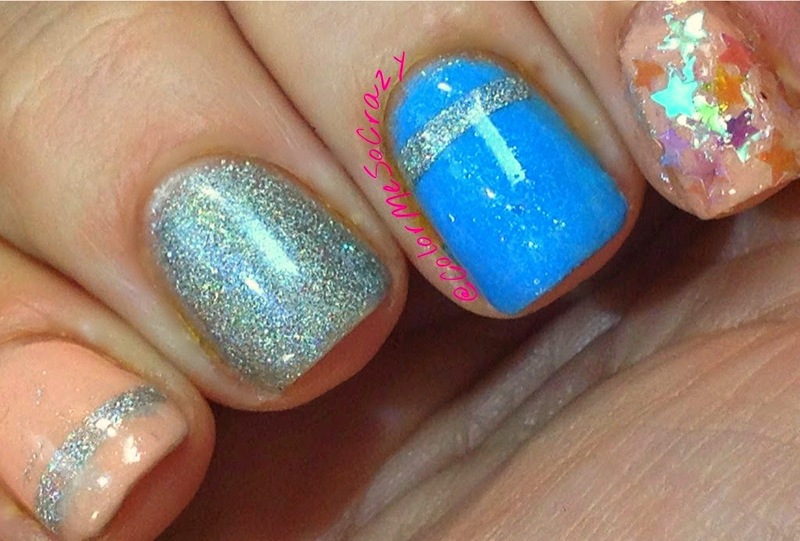 Do you think the star glitter is going overboard?? I am also super excited to let you know that next month's theme has been picked and it's BLACK AND WHITE. I am pretty excited to see what the creative mind of ColorMeSoCrazy can come up with only using the most primary colors ever! !